We hear "primary care physician" frequently when talking about doctors. Most of us know we are supposed to see a PCP. But what is a primary care provider and why are they important to our care? PCPs are usually doctors, but may also be nurse practitioners or physician assistants. They help us take care of the basics of our care, focusing on wellness and prevention. Since we are advised to see a PCP first when we are sick or hurt, they are considered primary. Sometimes health insurance insists we work with a primary care provider. Many patients would prefer to find specialists without "wasting" their time seeing a PCP first. That can be a mistake. In most cases, PCPs are also the coordinators of care and are of huge help to the patient. Although not all patients choose to take advantage of these coordination services, a wise patient understands that having one maestro for her health care symphony makes a lot of sense. The PCP is your primary partner for determining which other specialists need to be consulted while looking at the bigger picture of your overall care. Doctors who are PCPs orient their practices as medical doctors (MDs), osteopathic doctors (DOs), or they follow an integrative model. MDs are considered allopathic; that is, they practice Western medicine, which we consider to be conventional medicine in the U.S. Typically, PCPs who are MDs will treat the patient's basic needs, then send the patient to a specialist MD who will diagnose and treat within one body system. MDs attend medical school, may study extra years in family care or another generalist area, may be board-certified, and are licensed by the state in which they practice. An osteopathic physician (DO), similar to an MD, completes medical school and may choose a specialty, too. However, a DO will spend additional semesters studying the musculoskeletal system to learn how to manipulate the body. DOs approach the human body as a whole system, not just a series of body systems. Like MDs, DOs are licensed by the state in which they practice. They may also be board certified. Run by either MDs or DOs, and sometimes nurse practitioners, these practices use not only traditional Western medicine but also incorporate some of the best practices of complementary and alternative medicine (CAM). Note: There is some controversy in the U.S. over the use of CAM; however, many of the therapies are now well recognized and have become more mainstream over time, including acupuncture, yoga, massage, and the use of some nutritional supplements. The federal government devotes one of its Institutes of Health to recognition of the benefits of CAM. Nurse Practitioners (NP) and Physician Assistants (PA), also called physician extenders, may be considered primary care providers. General Practitioners (GPs) have the least amount of education while still earning an MD or DO. They have completed one year of residency and may practice independently, but they do not have enough education to be considered for board certification, which requires at least three years of residency. Family Practitioners (MDs or DOs) study at least three years beyond a GP making them eligible for board certification. They use the word "family" in their name because often all family members will be their patients. They may see patients from birth through old age. They diagnose, may do minor surgery, and may even perform OB-GYN services (obstetrics and gynecology) for their female patients. Pediatricians are generalists who spend their residencies specializing in baby care, toddlers, children, and adolescents. Since they have spent the extra years in residency, they are board eligible. Pediatricians have specialized knowledge in problems pertaining to infancy and childhood such as childhood diseases, growth (pediatric endocrinology), puberty and other health-related aspects of adolescence. Geriatricians are also generalists with the additional residency training, but they focus their practices on an elderly population. They, too, may be board-certified. They are well-versed in the health problems of an aging population including Alzheimer's disease, Parkinson's disease, heart, and pulmonary diseases, and cancers. For more difficult injuries or diseases they will usually make a referral to a professional who specializes in whichever body system is causing the underlying problem. Internists are often considered general practice, too. Internists, as you might guess, care for the internal systems of the body, and are board-certification eligible. 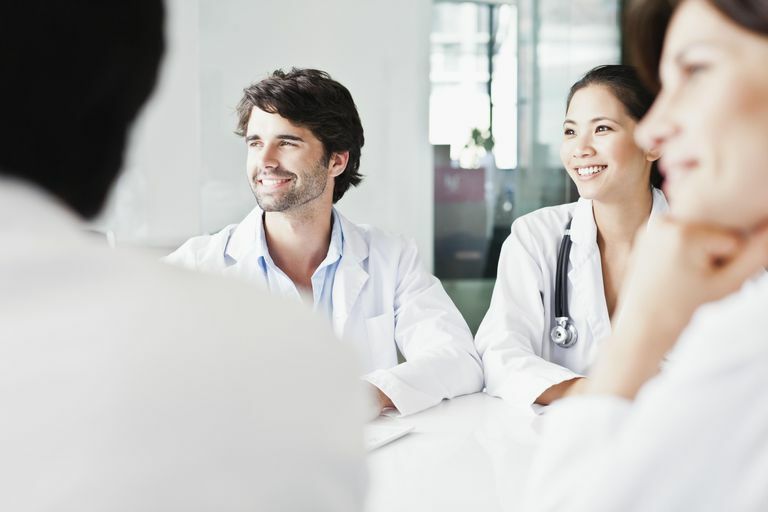 There are specialties contained within the term internist including cardiology (heart), endocrinology (glands, metabolism, and hormones), gastroenterology (digestive system) and many others. OB-GYN (obstetrics and gynecology) are the doctors who specialize in women's reproductive systems and the gestation and delivery of babies. Since women are encouraged to visit their OB-GYNs on an annual basis, whether or not they are having babies, many rely on their OB-GYN for primary care. Primary care may be considered a specialty like any other medical specialty. Its competencies are addressed by medical boards, and many primary care physicians are members of these medical boards. Wise patients know to research their PCP's membership in a medical board as a way of establishing the physician's capabilities.